The opening reception is Saturday, March 5, 6-9 p.m. at the Arcade Museum. 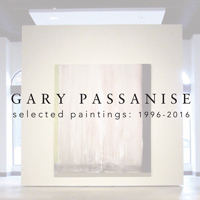 Come see the newly opened Arcade Museum for the opening reception for Webster faculty member Gary Passanise's "Selected Paintings: 1996-2006," Saturday, March 5, 6-9 p.m. The artist is a professor in the Department of Art, Design and Art History in Webster's Leigh Gerdine College of Fine Arts. This event "opens the doors" on the Arcade Museum, part of the historic and newly restored Arcade Building at Webster's Gateway Campus in downtown St. Louis. A formal inaugural opening will take place for the annual BFA Exhibition on April 29. Theis collection of Passanise works is curated by Bruno David. owner and director of the Bruno David Gallery in St. Louis. The show will run until Saturday, April 16, 2016. Parking is available in the garage at 916 Olive Street. See this event and other listings on the University Events Calendar at events.webster.edu.